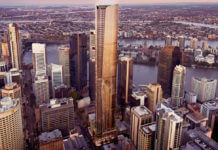 Brisbane is set for a massive jobs boost with the Queensland Government formally adopting the development scheme for the renewal of the Queen’s Wharf Brisbane Priority Development Area. Click here to view the Queens Wharf Priority Development Area (PDA) development scheme. “We invited the community, residents, and business operators to view the proposed development scheme and we received 37 written submissions. Some amendments were made to the proposed development scheme as a result of issues raised in these submissions,” said Ms Trad. All development applications will now be assessed against the development scheme. The final Development Scheme also includes provisions for a Design Advisory Panel to assist in delivering a high-quality project for the benefit of all Queenslanders and visitors. “This part of our city is one of the most culturally and historically significant sites in Brisbane, and the Design Advisory Panel will help ensure that Queen’s Wharf is a civic landmark,” Ms Trad said. The Design Advisory Panel will be chaired by the Queensland Government Architect, and members will be drawn from the Queensland Urban Design and Places Panel.